With Australia’s 2017–18 natural disaster season over, it’s timely to acknowledge the superlative capabilities of our emergency service agencies, planners and support staff, whether working full-time or volunteering, who were on-call during the season. The costs of recovering and rebuilding after natural disasters is significant. 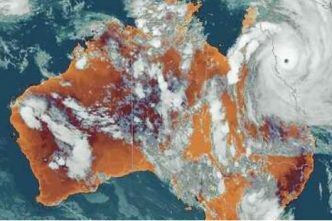 According to Swiss RE Australia, insurance payouts for Cyclone Debbie which hit Queensland in March 2017 topped A$1.69 billion, making it the second most expensive cyclone in Australia’s history, and the 12th most expensive in the world that year. 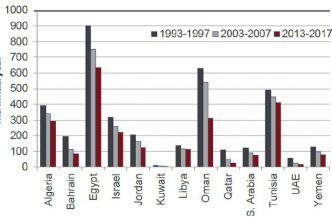 Leading private sector observers report that the ‘total economic cost of natural disasters in the 10 years to 2016 averaged A$18.2 billion per year, equivalent to 1.2% of average gross domestic product (GDP) over the same period’. Other projections suggest that a total annual cost of natural disasters in Australia could reach $33 billion by 2050. Given that sum, anything to improve our disaster response and mitigation represents a good investment. While there have been some notable moves to improve management of national resilience issues, non-natural hazards pose a range of challenges that need to be factored into current thinking and practice. For Australia, those include mitigating the impact of disruptions caused by the loss of control of critical infrastructure systems, water scarcity and ecological change, as well as protecting our health and agriculture sectors from the emergence or re-emergence of infectious diseases. An important question to consider is how best to provide future cohorts of disaster professionals with the academic credentials and professional education they’ll need. In-service training and private educational providers have a role, but universities are critically important, both at the undergraduate and postgraduate levels. But when it comes to teaching and supporting skills development applicable to disaster risk reduction functions, we may not yet be clever enough. While there’s a smattering of undergraduate and postgraduate academic courses covering different aspects of emergency and disaster management knowledge in Australia, nowhere is it a major focus of teaching. 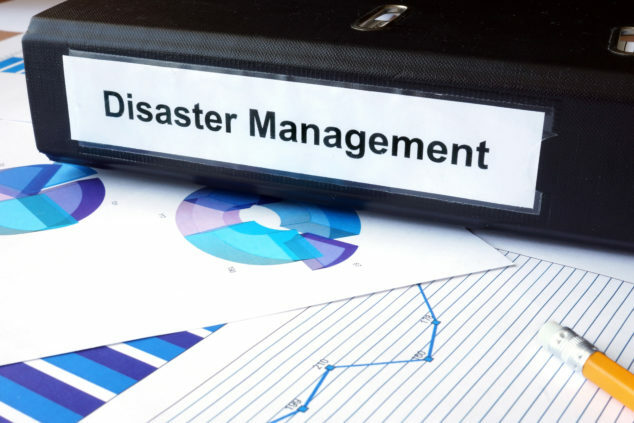 Some effort has gone into developing generic standards for higher education providers that teach emergency and disaster management, but how or when they should apply is unclear. Nevertheless, there are opportunities for academia to better support the needs of both students interested in joining the disaster management profession(s) and those working in the field seeking courses relevant to their professional needs. Here are two ideas to ameliorate this situation, one that’s not so new and another that requires a little out-of-the-box thinking. The first focuses on inter-university teaching collaboration. In August 2011 the Innovative Research Universities (IRU) group published a brochure titled ‘Disaster resilience: preparing, responding and adapting’. It outlined a variety of teaching areas and research strengths among its members that showcased different but complementary course options across a range of disaster management knowledge areas. Following on from that, IRU or a similar grouping could have established a consortium to combine the teaching expertise of different universities in the different areas of excellence detailed in the brochure. That would have led to unique learning opportunities by enabling students to combine units from different institutions, receiving full credit for each towards their final qualification. In such a program, students could have undertaken specialist studies that fitted their needs. In the case of disaster management agencies, in-service students would have combined units of study that met each institution’s specific needs. A consortium wasn’t created then, but there may be no impediment to doing so today. The second idea requires innovative collaboration directly between universities and disaster management agencies. The glue for such partnerships is the existence of specialist research centres within universities themselves. An example of such a collaboration was the signing in late 2014 of a memorandum of understanding between the Queensland Fire and Emergency Services (QFES) and the Centre for Emergency and Disaster Management (CEDM) at the Queensland University of Technology. The aim was to create what could have become an outsourced research and development capability for the QFES by linking it with the full research capability of a modern technical university with the assistance of the CEDM. This arrangement, had it continued, would likely have delivered significant value to both parties—rapid and comprehensive problem-solving for QFES and access to important real-world research problems and data for research students. Only a few disaster-related research groups remain active in Australian universities. Two of note are the Monash University Disaster Resilience Initiative (MUDRI) and the Torrens Resilience Institute at Flinders University. They, like those that came before, continue to play an important facilitation role between academia’s ‘hallowed halls’ and the real world. Such centres are both invaluable and potentially undervalued. Combining wider study choices with the transfer of real-world experiences and knowledge is critical. Australia can’t afford to be in a position in which new entrants to disaster risk reduction and management must wait to learn real-world skills and develop insight ‘on the job’. Neither can it afford to leave disaster response and recovery agencies reliant on underdeveloped internal research capabilities, especially as research and development may not be core business. We need to deepen collaboration between response agencies and universities, and support the creation of graduates who are as job-ready as we can make them. It’s time to think and act differently. Paul Barnes is head of the risk and resilience program at ASPI. (Disclaimer: Dr Barnes coordinated one of the three research themes of the Centre for Emergency and Disaster Management and has a current academic affiliation with the Torrens Resilience Institute). Image courtesy Shutterstock.